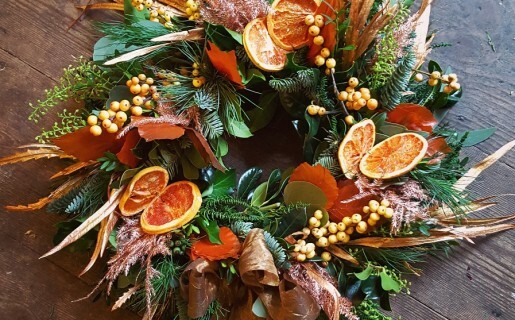 A beautiful festive wreath to take home and hang on your front door. We will be using lots of lush winter foliages, cones, fruits and tasteful Christmas decorations. All materials, tuition, laughs and refreshments are included.